The pits of apricots are removed generally on the third day of drying, depending on the wheather conditions. When the good arrive to the plant, they are washed, re-dried in the dehydration tunnels in order to remove the excessive moisture gained during washing as well as to pasteurize them by heat treatment, thus to obtain a hygienically safe product, hand picked and on the tables and metal detected. Both conventional and organic types are available. 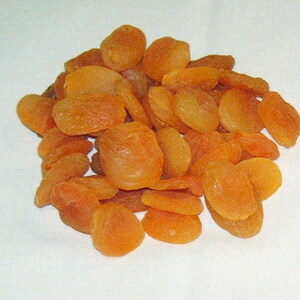 Since the use of sulphurdioxide is forbidden in organic production, organic dried apricots have a darker color.